Make the 19th hole a bowl! College football season means big games and great golf! 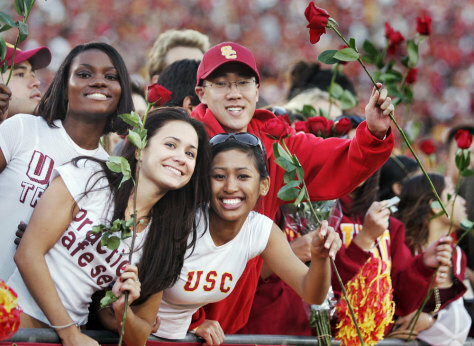 Fans of the USC Trojans hold up roses in hopes of a trip to the Rose Bowl against the UCLA Bruins Dec. 3, 2005 at the Los Angeles Memorial Coliseum in Los Angeles, California.